When speaking about stand fans for commercial use, there is quite nothing like a farata fan and it∩╛Æs even better when it∩╛Æs an Orient Farata fan. Check out the Orient Farata FT ∩╛û 01 high velocity stand fan that features a powerful motor and wide blades to deliver maximum air thrust without creating much noise. Other features of this farata fan include vibration free operation and powder coating finish for longer life. When speaking about stand fans for commercial use, there is quite nothing like a farata fan and it∩╛Æs even better when it∩╛Æs an Orient Farata fan. 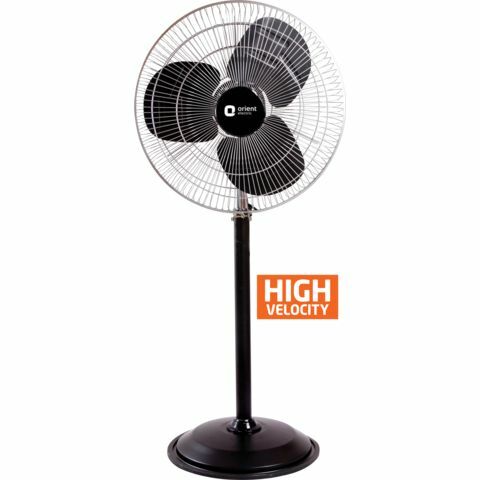 Check out the Orient Farata FT ∩╛û 01 high velocity stand fan that features a powerful motor and wide blades to deliver maximum air thrust without creating much noise. Other features of this farata fan include vibration free operation and powder coating finish for longer life.